Internet protocol cameras are perfect for monitoring your parking lot, regardless of how large, small, busy or quiet your company might be. Although you might be more accustomed to other, more traditional types of cameras or even if you don’t realize the importance of using cameras in your parking lot, purchasing these cameras is certainly something that you should consider. Before you will take purchasing and installing IP cameras in your parking lot seriously, you have to understand why doing so is so important. Even if you don’t think you need these cameras in order to keep your business safe, or even if you think that the risk is worth it, you should think a few things over before saying no to purchasing IP cameras for monitoring and protecting your parking lot. Thefts and burglaries happen at all hours of the night and day. If you have cameras in your parking lot, you can watch out for suspicious behaviors while you are your business during the daytime, and you can check your footage from home if you want to. Not only will a lot of potential thieves be frightened away from the prospect of robbing your business if they see that you have IP cameras in your parking lot, but you and the police officers and other officials in your area will be far more likely to be able to seek justice in the event that something does happen if you have solid video evidence of what occurred and what the person looked like or was driving. Vandalism can make your business look unprofessional, and it can be costly to repair your building after it has occurred. If you have surveillance cameras in your parking lot, however, you can cut down on the chances of people vandalizing your business. You can also press charges against those who have vandalized your building, and you will be much more likely to be successful in doing so if you have IP cameras in place in the parking lot around your commercial building. If people are frightened of visiting your business, especially at night, you can really miss out on a lot of customers and money. If your customers — as well as your employees — notice that you have security cameras in your parking lot, however, they are sure to feel a lot safer. This can help you maintain a great business while still providing your customers and the people who work with you with the safety and security that they need and deserve. In order for you to use IP cameras properly, you will need to have cameras and a computer system that are compatible with one another. In many cases, you can purchase an all-inclusive package that provides you with everything that you need in order to start watching your parking lot with your surveillance camera system. You can actually get some really good deals by purchasing your equipment in this manner, and you don’t have to worry about whether or not the software program will work with the cameras and other equipment. If you look at the software program, you should be able to find out whether or not your computer, computer software and IP security cameras will all be able to work together in harmony. A professional who is an expert at IP cameras and other types of security-related equipment can often answer your questions and help you determine whether or not your system will work well with its various components. Along with helping ensure that you don’t end up with a bunch of equipment that won’t work well together, this professional can also help you find the right equipment for your own specific parking lot and the money that you are willing to spend; this means that you can actually end up with more security equipment and protection for your money, and a good professional won’t mind answering questions and helping you out with this purchase. 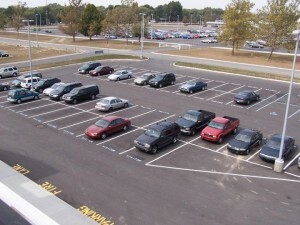 Although you probably want to watch what is going on in your parking lot during the day, it is also important to know that a lot of crimes occur at night. Therefore, you have to make sure that your cameras will work well in dark situations; otherwise, you could miss out on important footage that would otherwise help you protect your business and the people who frequent it, such as your employees and customers. There are plenty of cameras out there that are designed specifically for being used at night. These cameras are great in very dark situations, and a lot of people are shocked by the high-quality footage that they can capture in almost complete darkness. These cameras should be used in conjunction with other cameras, however, so that you can see what is going on in your parking lot at all hours of the night and day. Some of the best IP cameras for parking lot security in Florida are cameras that switch easily from day to night vision. These cameras will capture crystal-clear footage during the daytime hours, but they will automatically convert so that they use night vision when it gets dark. This eliminates the need to purchase two sets of cameras in order to capture footage 24 hours a day, seven days a week. If all you have are cameras that capture surveillance footage during the daytime hours, you might not think that you will be able to protect your business at nighttime. Fortunately, however, you might be able to capture good footage if your parking lot is well-lit, and it can be cheaper to illuminate the parking lot than to purchase all new cameras with night vision. However, you should know that these aren’t the best IP cameras for parking lot security in Florida because you do have to worry about lights going out and making it hard for you to see your footage and cameras that still don’t capture good footage at night, even with lights in the area. 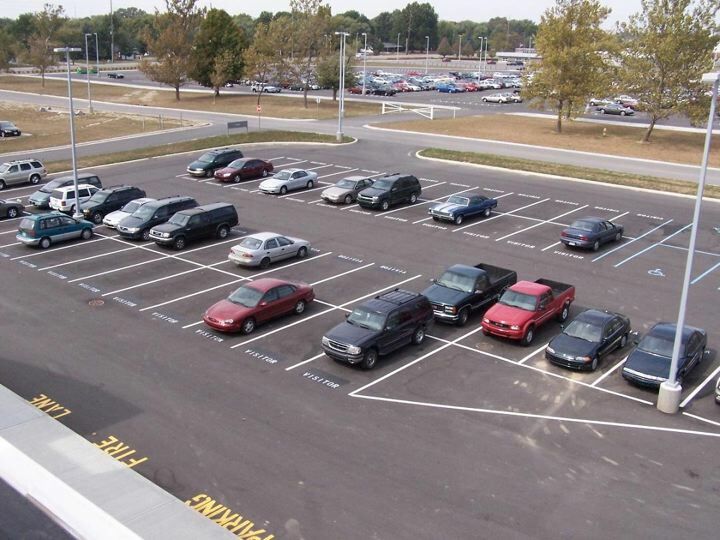 You don’t want to depend on flimsy IP cameras when it comes to something important like monitoring your company’s parking lot. 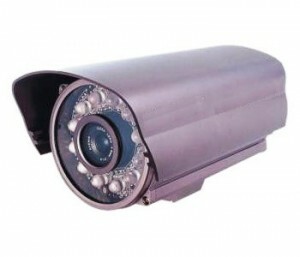 Therefore, you want to look for cameras that you can count on to be sturdy, strong and secure. You never know what the weather will be like, and you don’t want to end up with a bunch of broken cameras after a snowstorm or a downpour of rain. Although you might think that your cameras will be safe if you place them under some sort of shelter, you should realize that the wind can blow precipitation very easily onto your cameras, which will ruin them if they aren’t weatherproof. Luckily, there are a lot of cameras out there that are tough enough to withstand various weather conditions, and you are sure to find it worth your while to purchase one of these options. If you already have IP cameras that you want to use for your parking lot but that are not weatherproof, you don’t have to completely replace them. Instead, you can look for protective boxes that are designed for this purpose. With these boxes or shells, your cameras can be safely protected from rain, snow, sleet and other forms of precipitation, and purchasing these boxes can be a lot more cost-efficient than springing for all new cameras for your parking lot. Although it might seem like a no-brainer, it is important for you to make sure that your Internet protocol cameras are installed properly if you want them to last for a long time and help you monitor your parking lot correctly. This means that you should make sure that they are secured enough that they won’t fall and break, and you should also make sure that they are installed in areas where they cannot be easily tampered with. Those who are committing crimes have been known to steal or ruin Internet protocol cameras and other types of security equipment in order to avoid detection, but making sure that your cameras are installed as they should be can help reduce this chance. Wireless cameras are not an absolute necessity, but they are something that you should certainly consider. They can be far easier to use than more traditional cameras that come with lots of cables and wires, and they are less likely to become damaged or vandalized. You also don’t have to worry about all of the stress that can go along with installing security cameras that have wires. Placing your cameras correctly in the parking area of your commercial business can have a major impact on whether or not you are able to protect your property and capture the right footage in case something does happen somewhere in your parking lot. Monitoring entrances to both your parking lot and the building is always a smart idea. It is a good thing to know each and every person who has entered your property, and surveillance cameras make it easy for you to keep this information on hand for when you need it. It can be easy to leave blind spots with your cameras, but you might be shocked by just how easily an experienced criminal can find a blind spot. Therefore, you should consider carefully adjusting and moving your cameras until there are no blind spots in your parking lot. If this is impossible to do, it is a good idea to purchase a few additional cameras; although this might seem like an unnecessary expense, you probably won’t see it that way if your cameras prevent a crime from happening or help keep your parking lot safe and secure in other ways. Using other forms of equipment can help you keep your parking lot — and the rest of your business — safe. Lots of lights can be very intimidating for criminals, and those who are plotting and thinking about committing crimes might decide otherwise if there are plenty of lights. Lights also make customers feel safe and can make it easier for you to capture clear, high-quality footage on your Internet protocol cameras. A burglar alarm that is installed inside your business can help prevent someone from breaking in, and it can also prove to be very useful in the unfortunate event that someone actually does succeed in breaking a window, busting in a door or otherwise entering your establishment after hours. Indoor surveillance cameras can be just as useful as outdoor Internet protocol cameras. With them in place, you can look for crimes such as shoplifting, and you can also keep a close eye on your employees. This can help you make sure that you aren’t being stolen from by the people who you trust to work for you and that productivity is high, and it can prove to provide very useful information in the event that someone robs your business or commits another crime that needs attention from the local police department or other members of law enforcement. Simply watching your cameras every now and then can help you stop things before they ever start. Watching old surveillance footage from time to time can clue you in on things that occur in and around your parking lot. Store footage from your Internet protocol security cameras for at least a few months; you never know when you might need it.